HUGE covered back porch looking down the entire length of a beautiful and peaceful fishing pond on this NEW HOME NOW COMPLETE AND READY TO MOVE IN! Yes, it is on the perfect spot on the perfect pond. Yes, you might want to live on the back porch. Yes, you are going to love the â€œsecretâ€� second entrance and exit to the Master Suite. If you want a bigger kitchen, youâ€™ll find it here in this â€œBeachwoodâ€� NEW HOME from Great Southern Homes. If you want both added kitchen counter space AND a formal dining area, this home is perfect for you. You want 3 bedrooms downstairs AND a bonus room upstairs, it is here waiting for you. 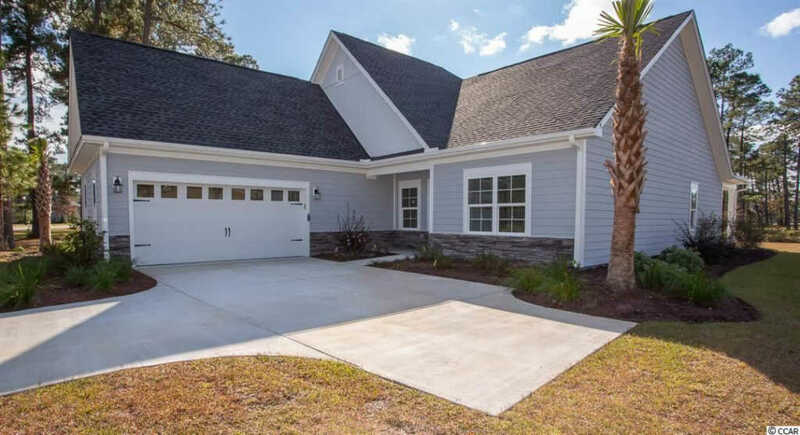 If you want a back way out of the master suite without having to sneak past the kitchen, living room or other bedrooms, check out the second exit built into the Beachwood Plan. Lots of options available too! An award-winning South Carolina builder with a lifelong local legend of a superintendent at Wild Wing. Great Southern Homes is bringing you classic homes of quality and added space without the high price. This is NOT your typical cookie-cutter house!